Dr. Jordan Utley is the program director and associate professor of the Master of Health Science program in the College of Health Sciences. Prior to her work at the University of St. Augustine, she served in various university roles including director of teaching and learning, program director (fitness management and athletic training programs) and athletic training research faculty. Clinically, she has worked with athletes from all levels, including providing sports medicine services to United States Soccer teams, Olympic athletes, and extreme sport athletes. She is a certified athletic trainer who implemented various cognitive interventions with athletes rehabilitating from sport-injury while earning her doctorate in experimental psychology at DePaul University in Chicago, Illinois. 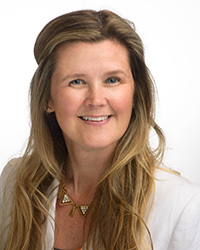 She serves as a committee member of the National Athletic Trainers’ Association’s Post Professional Education Committee (PPEC) and the Transition to Practice Workgroup where she is collaborating with others to create change for the future athletic training. She is also an emerging expert in interprofessional education and leads associated curriculum and research efforts at USAHS.